The long distance was on a new map called Waikoha . We had been told it was open farmland with boulder clusters and massive hills. 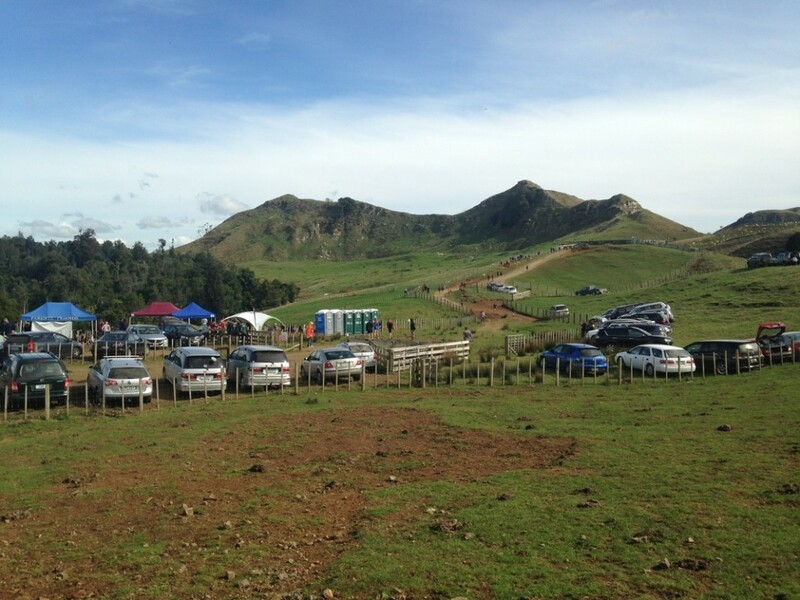 The Senior Girls course had 4.7km with a 225m climb and Senior Boys was 5.4km with 275m climb. Being open farmland you could see for miles which made planning ahead a lot easier. Compass , simplification and know where you’re going was key to a successful race. The Relay on the final day was also on a new map called Rangitukia – open hilly farmland with native patches of bush. My body was feeling the burn going up the hills after the terrain the day beforehand. The Senior Girls course was 4km with 110m climb and Senior Boys was 4.5km with 130m climb. Final results of the weekend tallied up was Napier Girls taking out the Top Girls School title and Napier Boys the Top Boys School ! It was a fun three days with good maps and good company ! Event Centre of the Long Distance showcasing one of the biggest hills on the course !